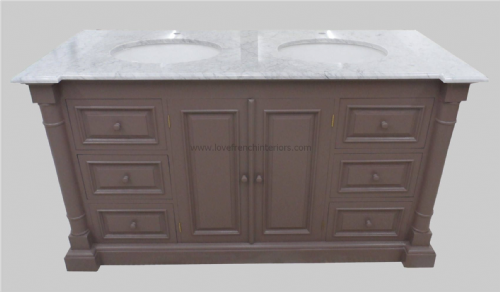 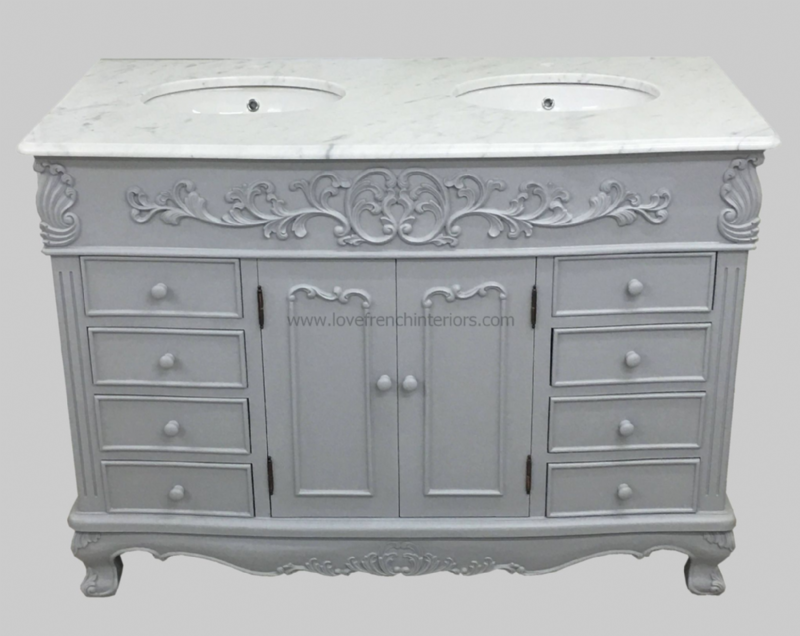 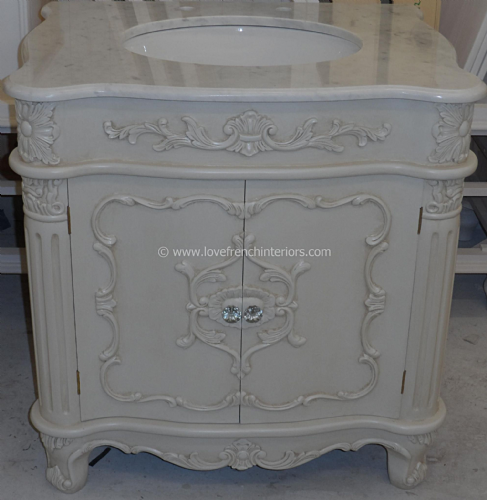 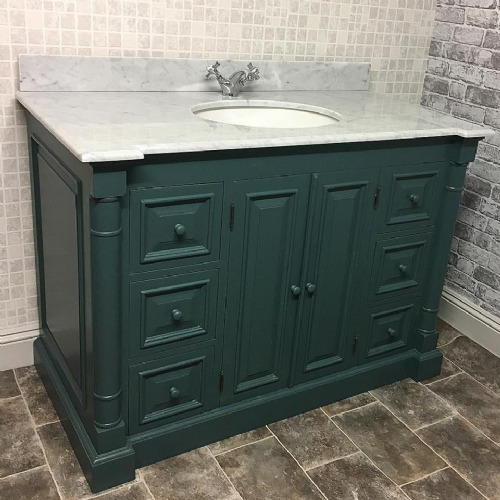 Our Bespoke Double Bowl French Medium Size Vanity Unit can be painted to the colour of your choice as all painting is completed by hand in the UK. 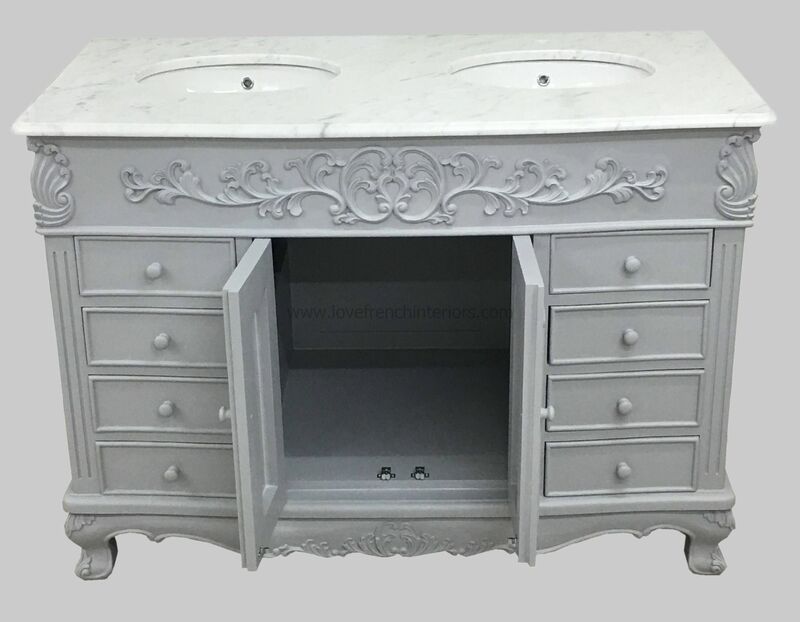 With detailed carvings to the front and sides it has practical storage drawers each side of the main cupboard. 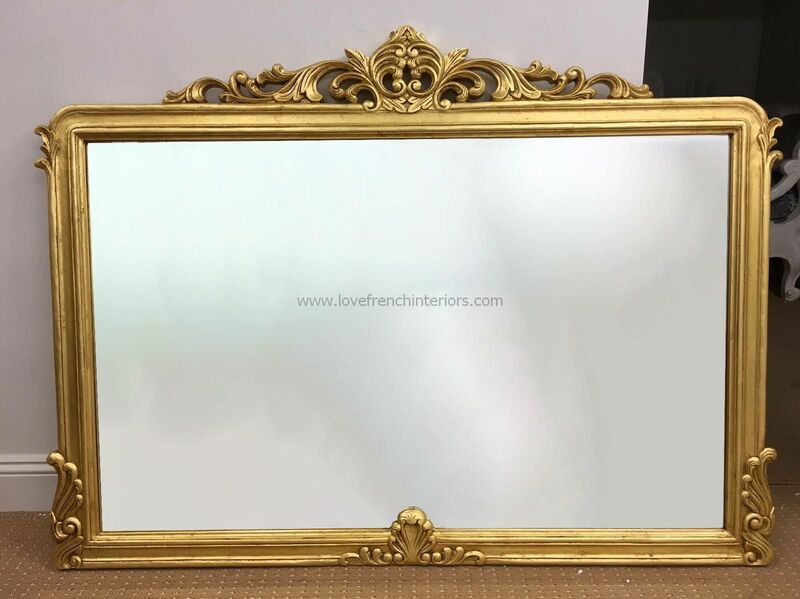 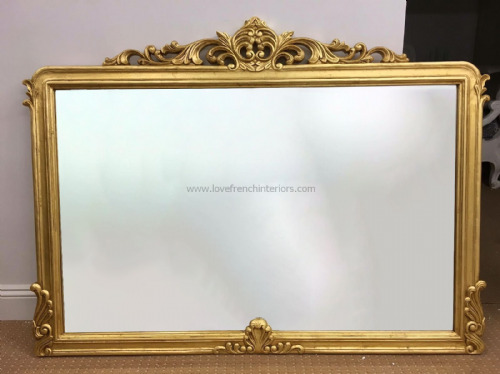 We can also design mirrors to complement our vanities or your tiling decor and one such mirror that complements this vanity is shown in gold but can also be finished in other colours. 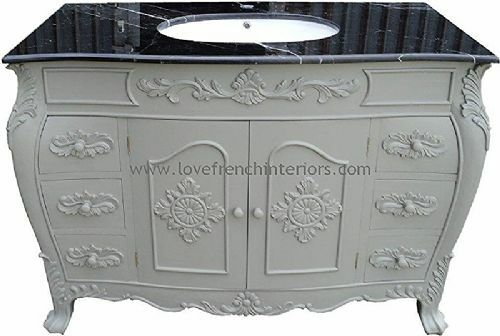 This can also be made to a 152cm width (instead of 120cm shown) or a custom size.